School Profiles - Nuances, Benefits, and Fresh Ideas! For many of us who have experience managing and creating our school’s profile, it’s well understood that the purpose of it is to provide insights and knowledge of our school and our students. And rightly so - the school profile is used by university admission officers to understand the context of every senior class and to evaluate students within their educational environment. Each portion of the school profile is important, but there are elements most schools would consider the be “fundamental,” -- the school’s name, contact information, history, demographic breakdown, curriculum, and university matriculation list. However, when it comes to displaying this information as well as using the school profile for advocacy purposes, we see great diversity. In this on-going series of articles on students 'returning home', Barbara Chen speaks about supporting third-culture students who may be 'returning' to a home country they have never lived in. 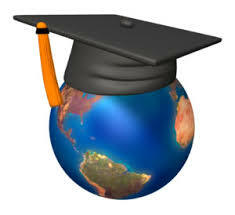 Check out her first article on Tips for Parents of College Bound Expatriate Student. The contents of my suitcase are strewn across my bedroom floor, new college swag separated from laundry, toiletries that exploded twice waiting to be cleaned for the third time, and just enough room to maneuver around the bed to sleep and then make it to work in the morning. I've just returned from a week long international counselor fly-in and unfortunately there is just not time between returning home and school on Monday to deal with things like suitcases when you have a week of emails, lesson plans, and looming AP exams to prepare for. Would I trade my week away for a clean room and empty inbox? Never. IS THE ADMISSION PROCESS BROKEN? The following is a submission from a long time OACAC member expressing his view on the current state of admissions as it pertains to students in China, and beyond. Hamilton offers this reflection as the start of a dialogue, and with any discussion there is surely to be different points of views. OACAC invites readers to provide their views and perspectives in the Comments section at the bottom of the article. The past several months the SAT has been a hot topic amongst our members. From security concerns and reports of test fraud in Asia to international testing dates to the pending roll out of the redesigned test, there has been a lot to think about with regards to The College Board's SAT. In February, OACAC was pleased to present a Webinar in cooperation with The College Board as opportunity for members to listen to updates and ask questions. Clay Hensley, Senior Director, International Strategy & Outreach, walked through the latest news concerning the SAT. As a follow up to the webinar, Clay has provided responses to a good number of the questions that were poised during the webinar and shared the answers exclusively with OACAC members. Would CB consider different security measures for different parts of the world ? What are the consequences when a student is caught cheating on the SAT? Is the cancellation of scores between ETS and student only? In what case would the student´s parent, school or institution where s/he is applying be notified? When will practice PSAT questions be available? Would you provide info to counselors for parents ? Will Khan Academy use practice questions from the actual redesigned SAT? Some of the questions I've seen from them don't seem helpful. Could you speak more about the three sections of the Essay Section? Find Yourself Not Your "Passion"
If I have another admission rep come into my school and tell my students that the best thing for them to do in high school is find their passion, I am going to scream. No joke. I am going to scream at the top of my lungs with reckless abandon. Passion is such a huge word. These kids are dealing with waaaaaay more pressure than I ever remember dealing with. They worry about their SAT scores, the amount of vocabulary they know, what their parents want, trying to ace all those classes that they are taking, and round out their extracurriculars with violin practice and basketball. Kids think that they need to fit into the “perfect student cookie cutter” so they can get into Harvard, even though I tell them that the cookie cutter is going to get them nowhere, just a mental breakdown. So when admission people tell them they need to find their passion? Add that to the short list of things they still need to do. Many of us are winding down the semester thinking of warm sunny beaches, shopping for those last minute presents or finalizing plans for friend and family get-togethers. In the spirit of giving, Naviance is a gift which continues to give beyond the mangled wrapping paper and proud, fleeting New Year resolutions. Here are a few Naviance tips to get you through the holiday season and into the New Year. For a large portion of universities, applications will be due within the next month and a half. Around the world, students are placing the finishing touches on documents that will be shipped to admissions offices around the world. And in the weeks that follow their arrival, these documents will come to define and represent the applicant as universities begin the difficult task and building a unique and diverse Class of 2019! While countless college admissions blogs have reiterated the standard tips for all applicants, regardless of citizenship, below just a few that should be highlighted specifically for the international community. Do you ever run a “best of” list in your head? Share it out loud! Best book to get for your office, if you can only get one! Best program to run for your juniors, if you can only run one! Best database program to convince your admin to get, if you're tired of excel sheets! Let’s pool ideas, share suggestions … after all, that’s what the Best of OACAC is about! Here’s our first “Best of….” column for counselors. Next column is for admissions officers! Share, Enjoy, Laugh, and most of all, Use! The British Higher Education system used to be straightforward, certainly for those like me working in British schools and who attended a UK university. However, recent changes in government policy have made steps towards creating a market for university places, with this to change yet further in future years. Though some of my colleagues across the UK find this all quite worrying, for those of us working on an international stage it simply brings the UK into line with the rest of the world. So, from a British counsellor’s perspective here are the key changes to be aware of. It’s early September and another busy season of assisting, motivating and bribing seniors to complete their college applications on time, is upon us. Oh, where did our summer vacation go? Amidst, the buzz of the hallways as students make their way to classes and teachers revving up their courses; high school counselors must find ways to focus their seniors for the important tasks that awaits them during the fall. Over the years, we’ve offered a Senior College Night presentation to students and parents providing information and answering questions regarding the college application process. This has typically occurred during the second or third week of school.